"Go home!" is always a slur, but often also an impossibility; this collection explores the words' personal and political dimensions. Asian diasporic writers imagine “home” in the twenty-first century through an array of fiction, memoir, and poetry. Both urgent and meditative, this anthology moves beyond the model-minority myth and showcases the singular intimacies of individuals figuring out what it means to belong. Go Home! is published in collaboration with the Asian American Writers' Workshop. 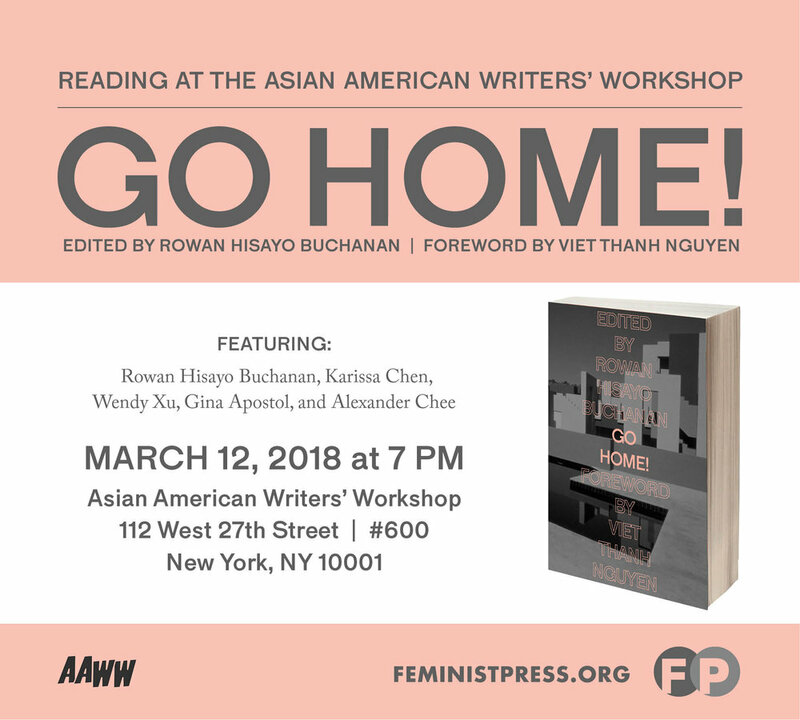 Established in 1991, AAWW is a national not-for-profit arts organization devoted to the creating, publishing, developing and disseminating of creative writing by Asian Americans through a New York events series and online editorial initiatives.